East Coast Railway, Office of the Chief Personnel Officer, Rail Sadan, Bhubaneswar, Odisha - 751017 invites applications from Indian Nationals, who are active members of Bharat Scouts & Guides for recruitment against Scouts & Guides quota in East Coast Railway for the year 2015-16. GP ₹ 1,900/- : 12th (+2 stage) or its equivalent examination with not less than 50% marks in the aggregate. (50% marks in the aggregate will be required for NTPC categories. 50% marks are not mandatory for SC/ST/Ex-servicemen candidates.) Pass in Matriculation or its equivalent from a recognized Board and having ITI certificate may also apply to be posted as Tech-III. GP ₹ 1,800/- : Pass in Matriculation or ITI or its equivalent from a recognized Board. Written Test - Consists of 50 objective type questions relating to Scouts and Guides organization and its activities. Personality test/ interview: From amongst those who secure a minimum of 35% marks in the Written Test, candidates equal to 5 times the number of notified vacancies will be called for Personality Test/Interview. Scouts / Guides Qualifications: Over and above the minimum prescribed as eligibility condition. Examination Fee: A Non-refundable fee of ₹ 100/- for UR and OBC male candidates should submit an Indian Postal Order (IPO). No fee for SC / ST, Ex-servicemen, physically challenged, women, minority candidates (Muslims, Christians, Sikhs, Buddhists & Zorastrians [Parsis]) and candidates belonging to economically backward classes (whose family income is less than ₹ 50,000/- per annum) need not pay this fee. How To Apply: Candidates should send their applications by Post to the address mentioned against each unit below table. Candidates intend to apply for a particular unit should send their applications to the respective office address only. The Assistant Personnel Officer(Recruitment), 2nd Floor, South Block, Rail Sadan, PO-Mancheswar, Bhubaneswar, Odisha - 751017. The Sr.Divisional Personnel Officer, East Coast Railway, Khurda Road Division, Po-Jatni, Distt-Khurda, Odisha - 752050. The Sr. Divisional Personnel Officer, East Coast Railway, Sambalpur Division, Po-Modipara, Sambalpur, Odisha - 768002. 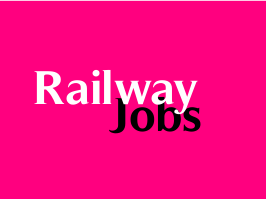 The Divisional Personnel Officer, East Coast Railway, Waltair Division, Po-Dondaparthy, Visakhapatnam, Andhra Pradesh - 530004.